What’s so reassuring about this book is that even the equally intelligent and academic contributors admit that they might not quite understand the immense talent of David Foster Wallace. And for those of us decidedly non-academic writers, this is a very inviting thing. David Foster Wallace’s writing, while incredible, is also intimidating and the contributors seem to sympathize. What a gift to anyone who has ever wanted to learn more about Wallace but has been too afraid to open his pages. Beauty and pain hide between every line in each one of Wallace’s stories and this book will attempt to explain why. Wallace was an author who had so much more to tell, but yet had already said it all by the time of his death. Yes he was flawed, and we are flawed, but the world is still a heartbreakingly beautiful place. 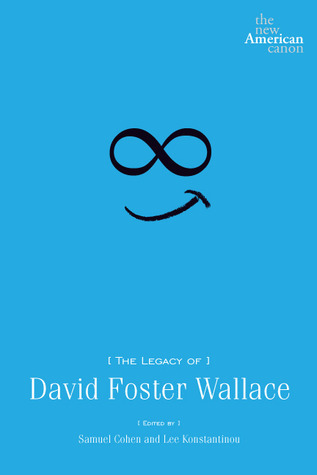 And The Legacy of David Foster Wallace is one of the reasons why – if just for its superb cover art. A great read for anyone who admires Wallace and anyone who hopes to.